I have continuously meditated for about 9 months now, almost every day with few exceptions. It is now routine just like anything else it is a habit. What I have learned from these past nine months is that there is not much reason to meditating(for whatever purpose) if you do it out of obligation, just to get it done or if you don't put for heart, intent and energy into it. I had profound experiences within just 3 weeks of meditation and other stuff in 2012 but during this period 2016-2017 I have not experienced anything similar except occasional experiences close to sleep states and such. About one or two weeks ago I figured I would put more into the energy of enjoying the mystery of meditation and dimensions yet unknown as I did in 2012. I started putting more energy into relaxing, going deeper and to atleast every session reach a state where I hear sounds within the mind, such as music, voices etc.. or short dream or just images. Once I reach this state I know that I have achieved enough relaxation and focus on a deeper state of mind to practice connecting to all that which most people are n not in touch in with in this world today. I realized quickly that as I started recently increasing my abilities and such in a short time. So my hope is for anyone reading this to either learn this the same way I did(hopefully you don't give up before you realize this) or you can hopefully feel there is something to what I learned from these past 9 months and skip this process. Although I did successfully achieve what I wanted years before I didn't really realize what I did then that I didn't know in the past years. Anyone else experienced similar things? Also during these 9 months of meditation I am however very sure I entered a deeper state than the usual day-to-day state of mind, but it wasn't deep enough it seems, that is to say if you want more and deeper experiences. It was definitely not worthless but what I did, it did not help with was I was looking to achieve. Also I increased my OBEs and possibilities of OBE I would say about 3-8 times more the last 4 months than before that time, so it seems I have more frequently having OBEs probably as a result of these kinds of things. Meditation is a method for "reducing our resistance". So, if you meditate, you are reducing resistance to non-physical experiences. This is why you would have a higher frequency of out of body experiences. This is not some form of magic. In contrast to what most humans perceive as separation, there is actually a continual connection between the physical and non-physical. It is one thing. There is no separation of the physical and non-physical. The perception of separateness is added by each human. It is why we are extended here (to experience that separation). The human perception of separation is strongly tied to our experience with time (e.g., time appearing to bring our experiences in slices ... moment to moment). And, these human perceptions are closely tied to our physical sensory system (e.g., sight, sound, touch). So with meditation, the physical sensory system is desensitized … and this is how 'other experiences' can come forth (e.g., like more out of body experiences). This is how we can have contact with others (not human). This is how channels can bring forth communication from the non-physical. Meditation is a method for "reducing our resistance". In contrast to what most humans perceive, there is a continual connection between the physical and non-physical ... because it is actually one thing. There is no separation of the physical and non-physical. The perception of separateness is added by us. It is why we are here (to experience that separation). The human perception of separation is strongly tied to our experience with time (e.g., time appearing to bring our experiences in slices ... moment to moment). And, these human perceptions are closely tied to our physical sensory system (e.g., sight, sound, touch). In meditation, if successful, the sensory system is desensitized. This is how 'other experiences' can come forth. This is how we can have contact with others (not human). This is how channels can bring forth communication from the non-physical. Experiences beyond the physical are very natural, because we are NOT individual (this is only a perception of our physical senses) ... we are NOT solely human. The human is only a small part of who I am (as are you). You make some sententious statements here. I kind of like people who start with "in my opinion", or at least mention the source that brought up their strong convictions. It is not an opinion. It is my experience ... my experience with my own non-physical guidance ... my experience with the non-physical. This is not (either) a strong conviction, as conviction is based on belief, and I attempt to maintain as few beliefs as possible. Again, I am talking about experiences ... experiences with the non-physical. Realize that beliefs are a product of the biological brain (a primary sensory device of the physical body). To communicate with the non-physical, the brain generally needs to be set aside. This is why OBE's or perceived communication with guidance comes mostly when the body (and brain) are asleep. I met my primary guide during one of first out of body experiences. This is something that I have mentioned a few times here at AP. When I did, I began my own exploration of the non-physical aspects which I extended from. If you want more information about that for yourself, I would suggest exploring the tapes of Robert Monroe and the individual works of many of the explorers affiliated with The Monroe Institute. Many of the explorers have documented their experiences with non-physical guidance ... Frank DeMarco especially. And, the Miranon tapes (which I created a thread about here over 2 years ago now) have been discussed here at the AP. Miranon was a non-physical aspect of one of the original Monroe explorers, Shay St. John. There are also non-physical entities (such as Abraham or Seth) which define meditation and the nature of reality similarly. They bring a non-physical perspective of what meditation is. Good luck to you, Baro-San. Again. You'd be more convincing, and helpful to us the less knowledgeable, if you were less condescending. Sorry if my interjection rubbed you wrong. I'd like to give you the benefit of trust, but the tone of your first post, and the second now too, put me off. the tone of your first post, and the second now too, put me off. Good! That was intentional on my part. So, I can expect to not hear your complaining in the future? It wasn't a complaint. I genuinely wanted to know how much weight your statements have, and it was a friendly warning that your post might not come across as you wanted. Now, your latest replies put you in my book among trolls. Obviously I regret replying to you. Since no one seems to have explained to Sammie what is happening I'll say a few words here. Sammie, the reason behind this, the reason why you don't experience as beautiful projections as you were in the beginning is that you already have experienced these a few times before. In real life when we dream about something and we eventually have it granted or we obtain it by ourselves, we are happy the first time. The second time and the third time a little less and a little less every time if the experience is similar each time. Eventually it becomes like a second nature and that dream is not so much a dream anymore. Searching for the same type of experiences in the astral realms puts you into the same position. Meditation and astral projecting are there to experience new things, the best thing to do in that case is to have an open mind about it. Don't focus your attention too much on anything ephemeral. Finding beautiful songs/melodies in the astral realm is extremely fun but once you wake up, most of the time you can't remember it. Peace of mind and happiness is a good way to go. Another thing, guys please be friendly with each others, this thread started as a little question and ended up in a clash of ego's. There are so many authors, and forum gurus, that claim to "first handedly know the truth", and there are almost no two "truths" alike. That's why I often ask people where do their convictions come from. Most of those questioned feel rubbed the wrong way, challenged, even indignant, but I honestly want to make an evaluation of how much weight should I assign to their statements, and also investigate if there is something I can directly apply myself in my quest for knowledge and evolvement (I don't trust the fish they sell, I want to learn to fish!). When I learn about another author, one of the first signs that puts me off is learning that they published a ton of books, and hold workshops, sooo they make money of this! With the advent of the Internet we were blessed with an enormous exposure of information, but we were also burdened with it. I know that these things are real from my own experience with OBEs at first, synchronicities, and more recently autohypnosis. How to churn all the claims? Somebody makes several sententious statements. Should I give them a second thought? Somebody mentions an author that claims to know "how things really are". I google his name. Most his youtube interviews are one hour plus; he published several books on marketable subjects; he holds workshops; he looks and talks nicely, but how trustworthy is he? At the moment, I'd say: not much. Well, here's the thing... *NO* two personal truths are the same. And if you want my honest opinion, you shouldn't be giving ANY weight to anything anyone really says. Although, that also doesn't mean you just blow off their knowledge and experience entirely. Just put it off to the side for the time being. But on the topic of money... everyone has to make a living to exist in this reality somehow, so don't let that be your defining factor of if you "believe" someone or not. Always work towards having your own experiences. Having your own experiences is the ONLY way for you to move past the "belief" part of projection... because then you no longer have to believe! You get to KNOW! I like the way you think Baro-san! ..and I agree 100%. I always hear in interviews by these supposed people in the know, how they wish to help for the greater good. But just send your $300 for my workshop and I will teach you. I come to these Forums to help because I don't believe there should be a "price" for that teaching. I have posted many techniques that I myself personally use. Some of them are entirely my own, some of them I have tweaked from other Authors, etc. I used a "pay program" when I first began. But the reason I did was because I knew if I paid for it, I would definitely see it through. It was like some kind of deeper form of commitment to me. But it worked. That little push motivated me. I have constantly heard people on the Radio shows with comments like "my way is the only way" and other foolish comments like that. All you need to learn to "shift/project" is to hold your focus on something that isn't your physical self. It's easy to say, much harder to do, simply because of our Human conditioning. The title of this thread here says it all "Trial & Error". That's what it's all about. Take all of your physical senses away and what's left? Consciousness itself. In this practice our goal is to do just that. We learn to completely release that focus on our physical bodies, while staying consciously aware. Many people fail in the beginning, because they keep taking "sneak peeks" back at what their physical body is doing or experiencing. Then there are the people that begin down this road and somewhere along the line, they think they have found the answers. That is usually the end of their teachings though. If you have all the answers, why would you need to "see" anymore. This is when that person finds themselves blocked. I have been there. I thought I knew what was going on, but then everything changed and I was open to learning anew. I find that some of these people that are learning start to look too much to the outside for their knowledge, like Channelers and programs that kind of begin to feel like some kind of "cult" following. Once again, I did that too. Then I began having my own experiences and comparing notes. This is how I found Kurt Leland's work. I then listened to his excellent video on the life of Annie Bessant and I had finally found the answers I was looking for, simply because I understood exactly what she was saying and I had been "living" that way before I even read her material or Kurt's material. The Monroe Institute is a great place to go to be able to experience a conscious shift. But what Robert saw and what this Miranon and Tom Kenyon and all these others have seen is being described by their own personal perceptions. That last comment will likely cause some feathers to be ruffled. 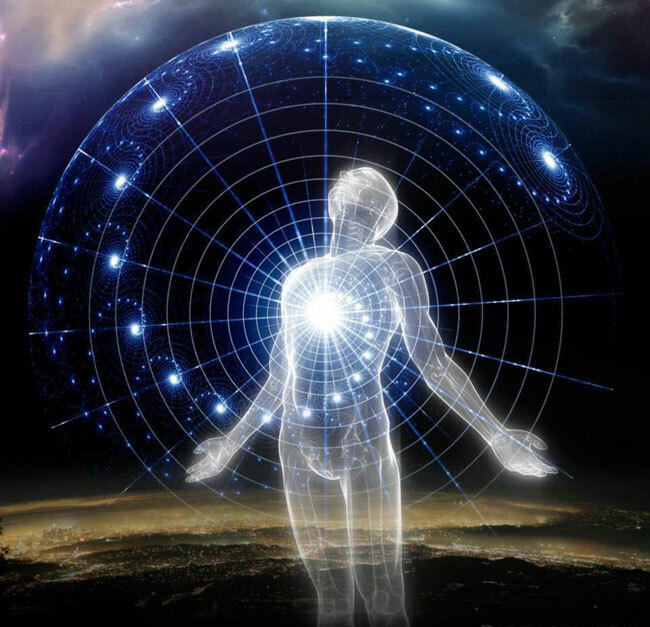 You are right, just like with the UFO community, the Astral Projection community has it's biases as well and those biases lead to hurt feelings and Forum confrontations. My goal has always been to help people get there. What you see and do is up to you. If you wish to be a "Demon Hunter" like a person here on this Forum recently posted about, then, go for it. The other realms are completely thought responsive. For that reason alone I shy away from posting my own experiences on any Astral related Forums. But I have no problem creating free threads and posts based on techniques for the "how to". Who am I to say what you can and can't do. It's your "reality". My only question to them would be "Why fight Demons, when you can help Angels? Their fears are showing through. I have read many books and watched a ton of youtube videos by all of the "Masters". Tom Campbell, Robert Monroe, Robert Bruce, William Buhlman, the list goes on. I have never found anyone that I agree 100% with, Kurt's "entire" philosophy included. But I keep reading and I keep a open mind. The thing I really found funny about your comments above was that people don't know who you, I or anyone on these Forums really is. We could be anonymously posting here using a "alias", but really we could be one of those famous Astral Travel authors. Yet, many of our posts will be ignored by some just because we don't have the "name" to go with our info. But what Robert saw and what this Miranon and Tom Kenyon and all these others have seen is being described by their own personal perceptions. No ruffled feathers here. However, in your listing of names of people whose work I have mentioned on forums, you forgot to mention the most spiritual teacher I follow. His spirituality is so far above others that many consider him to be ultra-spiritual. I wish I had the patience to pratice meditation a lot lol. hopefully once Im out of college I'll have more time. I wish I had more time to meditate. Patience is a skill everyone should learn. Sadly, it usually starts with your parents. Unrelated question... When I meditate more seriously now I reach deeper states, specifically one where I fade in and out of light dreams where I merely observe or see momentary pictures, not really hypnagogic though. My question is, is this to any use and how can I go further? An answer depends somewhat upon your goal is. For example, is it a particular state of conscious focus you are seeking (e.g., like focus 12 and seeing beyond the body or focus 21 and entering the void)? These are specific examples of the "deeper states" that you have prescribed in your request or question. From my experience, reaching deeper states is usually where sound assistance is most helpful (like hemi-sync) to guide someone. For example, there are hemi-sync tones which orient a listener to particular focuses (like 12, 15, 21, 27). If you do not want to use sound assistance, then specific forms of visualization may serve as a substitute. But again, what is your specific goal? Every deeper state you described I see them all as the same and that is my goal... To reach that state where I am no longer bound physically, but instead focused inwardly or on something else... The ultimate goal is just to achieve this by will consciously, which I rarely do. I usually get there by accident close or after sleep. 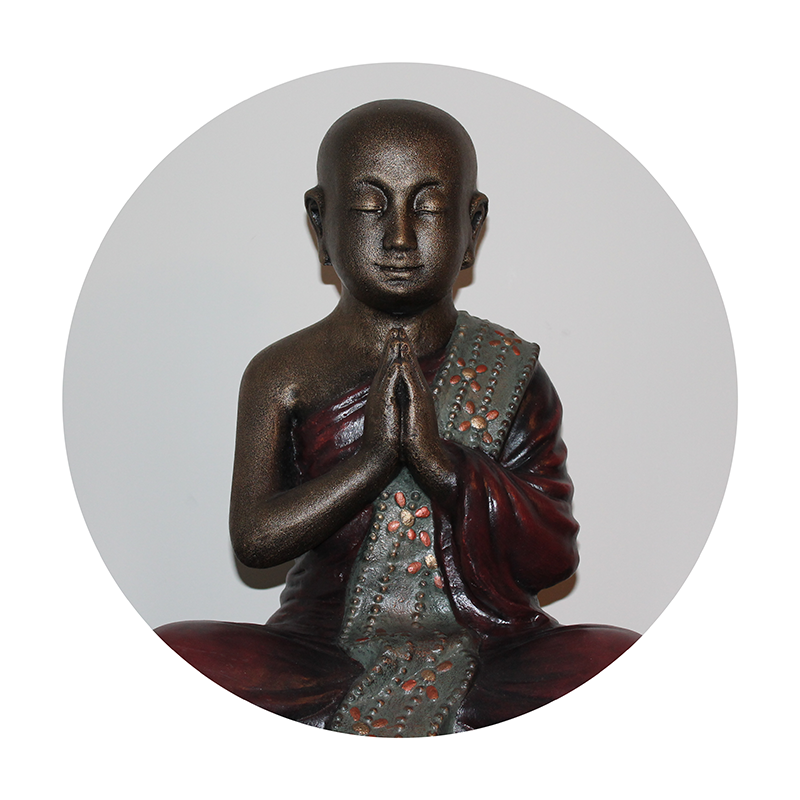 Just having an established meditation practice is a very positive development. I guess if you want to take that further (and beyond where meditating has taken you so far), it sounds like you may need some assistance ... visualization and/or sound assistance. There are posts here about each of those topics. fwiw ... Jurgen Ziewe meditated religiously for 5 to 7 years before he had his first spontaneous out of body experience (e.g., he was not trying to OBE). To this day (40 years later), he still meditates every day upon awakening and before he even attempts an OBE. He basically prioritizes meditation over the OBE. Having read your first post, am I correct in thinking that you're suggesting a more focused way of meditating rather than doing it automatically every morning between 9am and 9.20am because that's what you've read? When I mean focused, I don't mean "Trying Really Hard To Get Somewhere In Your Head", what I mean is making meditation/relaxation/the present moment the sole (soul?!) focus of your sessions. If so, I've found that concentrating (or actually not concentrating to be honest) on whatever is going on RIGHT NOW is the best way to go about it. Whatever IT is. There may be an end goal to meditation, but constantly reaching for that goal will not get me there. It's taken me years to learn this, but it's quite like riding a bicycle. Once learned, you can always get on a bike and whizz off wherever you want to go.